CHANGELESS Review | Warped Factor - Words in the Key of Geek. Having read and thoroughly enjoyed Soulless last fall, the same friend who recommended that novel to me recently loaned me its sequel. 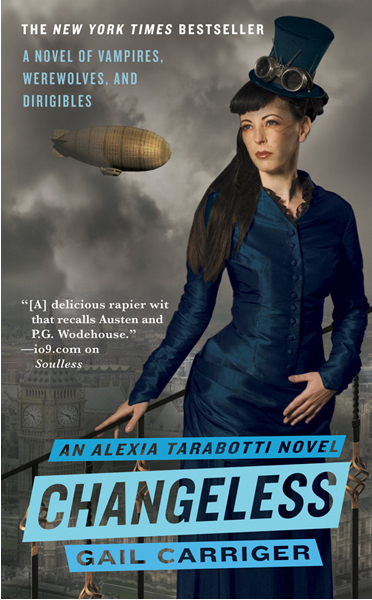 Changeless, the second novel in Gail Carriger's Parasol Protectorate series, picks up some months after Soulless left off with the further shenanigans of Alexia Tarabotti, now Lady Maccon. Not only that but it continues with the successful combination of its predecessor. Having established Alexia and the steampunk Victorian era she lives in alongside supernatural entities, Carriger uses Changless to explore that world. The novel revolves around an apparent plague that is taking supernatural creatures and reducing them back to their human forms, and Alexia's trying to sort out the connection between that and her husband. Along the way we begin to find out the origins of this supernatural and steampunk world, including neat throwaway references to their influences on ancient civilizations like Egypt and Rome. It's a nice furthering of this world that could only be done in a sequel novel. Yet that world building never feels overwhelming. 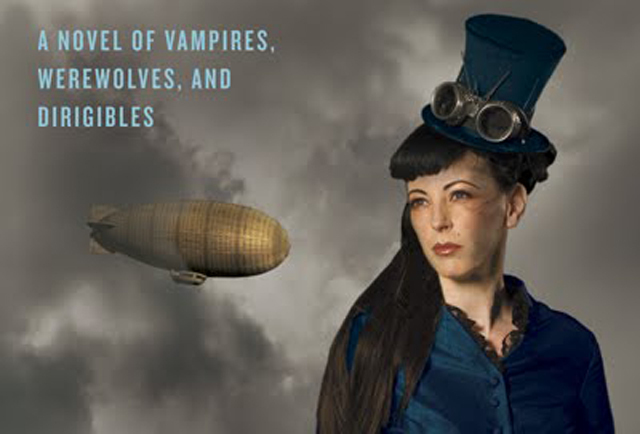 Like with the opening volume, the steampunk and supernatural elements are very much scenery even when a decent chunk of the novel is set on board the biggest of steampunk cliches in the form of a dirigible. The dirigible is what it ought to be: a mode of transportation where a series of interesting events happen rather than being the focus of the story in and off itself. It's something that goes hand in hand with the further world building of the novel's supernatural elements. What is a highlight of the book is its characters. Alexia, though now married, is still undeniably the same character despite her new responsibilities and status in society. She's still every bit a steampunk heroine who gets involved with a number of action sequences, including a gadget filled parasol that makes for a worthy addition to her character. All of the returning characters from Lord Maccon to the Oscar Wilde-esque vampire Lord Akeldama are all present and correct as well, which should make readers happy. The novel's new characters including the mysterious French inventor Madame Lefoux add to the wonderful mosaic of Carriger's world. Where Changeless is perhaps a tad of a let down is in its plot. While it clicks along nicely given its 376 page length, thinking back over the novel it does seem to be rather lacking in terms of plot. Don't get me wrong, events certainly happen and it's a nice read but there does seem to be perhaps a bit of wheel spinning with conversations that go on for pages and pages while perhaps not always advancing the plot. That isn't to degrade the conversations which are every bit as full of wit and excellent writing that Carriger can bring to it, but it is something that might well be noticeable to some readers. In fact, the biggest plot elements of the novel happen in its final chapters. It's an incredibly surprising development and one that comes as a genuine shock. It might seem to come out of left field but, with some flipping back through pages, turns out to have been nicely set-up. It also helps to separate this book even more from Soulless in regards to that particular novel felt very self-contained whereas this one feels very much like a continuing story and setting up further sequels. Though on its own, thankfully, it works incredibly well. Despite perhaps lacking in plot, Changeless is a worthy sequel to Souless. It not only continues the shenanigans of Alexia but it also does a fine job of expanding upon the world and elements of the Parasol Protectorate series. If you enjoyed the first book in the series or any of the genres that it touches upon, it is most certainly worth a read.